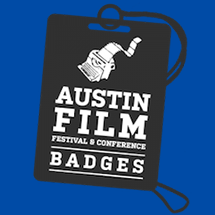 Entrants Get a Discount on Festival Badges! Get a larger discount when you submit your script and register for this year’s Conference at the same time! If you advance in the Competition later on and are eligible for a lower price point, we’ll gladly refund the difference. AFF Competition Award Winners will be awarded alongside our 2019 Festival and Conference Awardees at this year’s Awards Luncheon on October 26th, 2019. 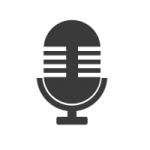 Before proceeding with the online form, please make sure your podcast adheres to all rules and formatting – all entries should include a series outline in the same file. Step one in your podcast career: submit your podcast. CHECK! Step two: join us in Austin in October and let us put you in a room with the writers you admire most, and throw you a party to mingle with the folks you can’t get meetings with anywhere else. How? Buy your badge now before prices go up on June 15! Don’t see where to pay? Scroll up slowly for the link to PayPal.